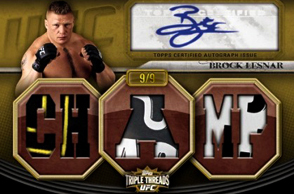 1 Autograph/Memorabilia card per pack! 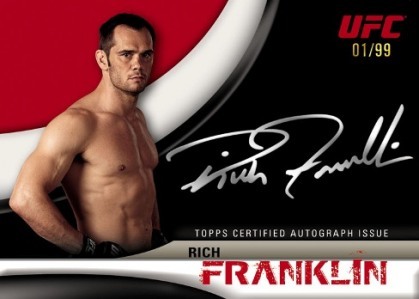 "Sick Sigs" six autograph cards numbered to 5! 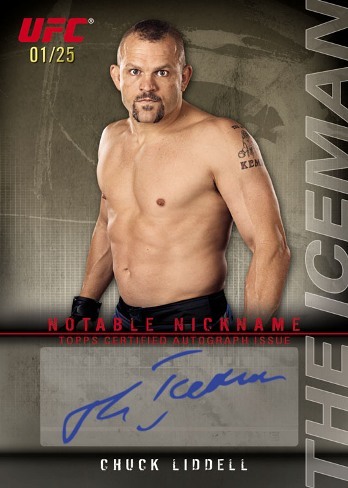 "Notable Nicknames" autographed cards numbered to 25! 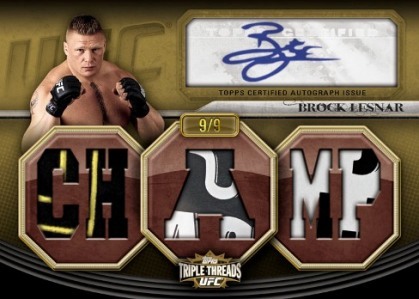 "Triple Threads Double Combo" six fighters, six relic cards numbered to 36 or less! 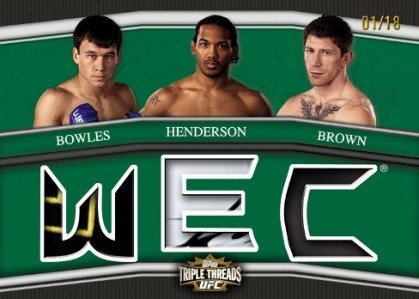 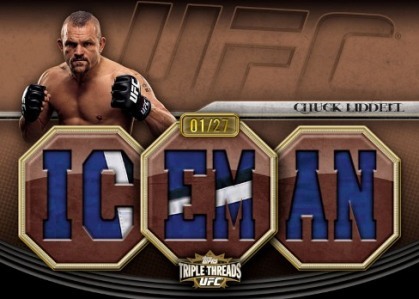 This upcoming December, Topps will raise the MMA trading card bar with the industries first high-end UFC product. 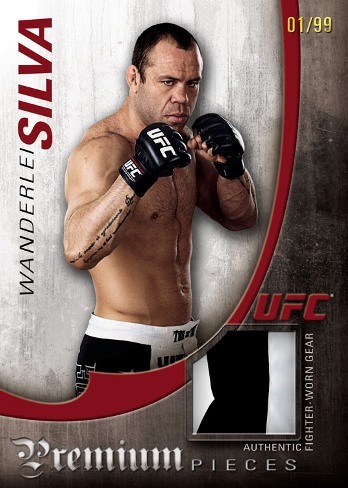 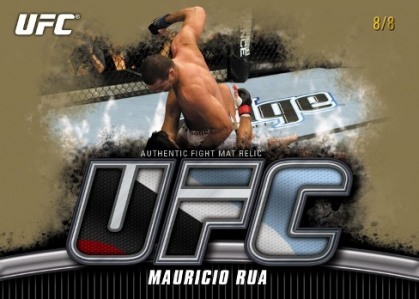 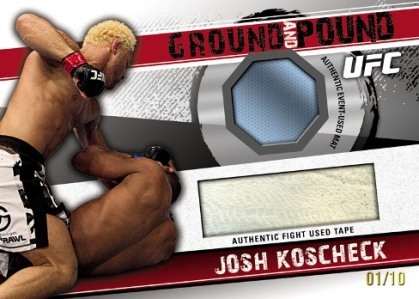 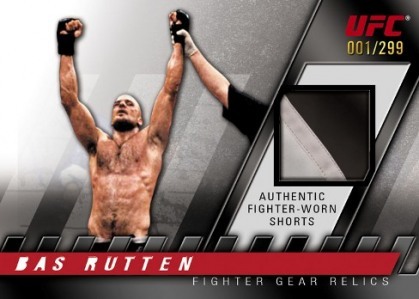 2010 Topps UFC Knockout offers MMA fans a 1 hit per pack product that packs plenty of punch. 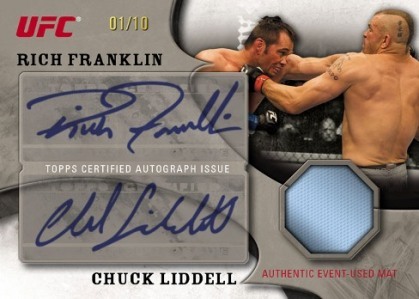 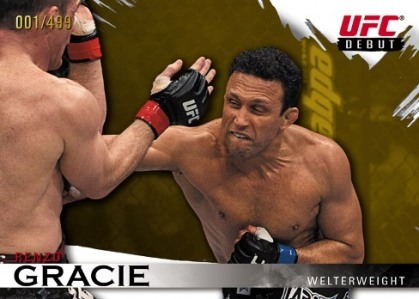 With "Sick Sigs" 6-auto cards, relic autographs, and plenty of "high-end" trading card theatrics, "Knockout" could signal the dawn of a new day for UFC cards.